LEONARDTOWN, Md. – February 16, 2018: On February 8, 2018, the Leadership Southern Maryland (LSM) Class of 2018 participated in the sixth of nine educational sessions – Public Safety. The day began with an introduction and welcome by facilitator Gerald Gardiner Jr. LSM’15 at Calvert County Public Safety. He proceeded to set the tone for the day with a team exercise followed by an overview of public safety in the region. Next, the class received a brief from Fire/EMS personnel. Bill Smith (Charles County), Kelly Bell (St. Mary’s County), and Wayne Hardesty (Calvert County) discussed the volunteer Fire and EMS programs and their recruitment challenges. The morning was capped off with an introduction to the Southern Maryland Information Center, where law enforcement collects, evaluates, and disseminates information on known or suspected criminal violators, groups, or organizations for analytical exploitation. Chris Strong, meteorologist from the National Weather Service (NWS), was also on-hand to explain how NWS shares information to help the counties prepare for weather events. The afternoon portion of the session included a presentation about narcotics. 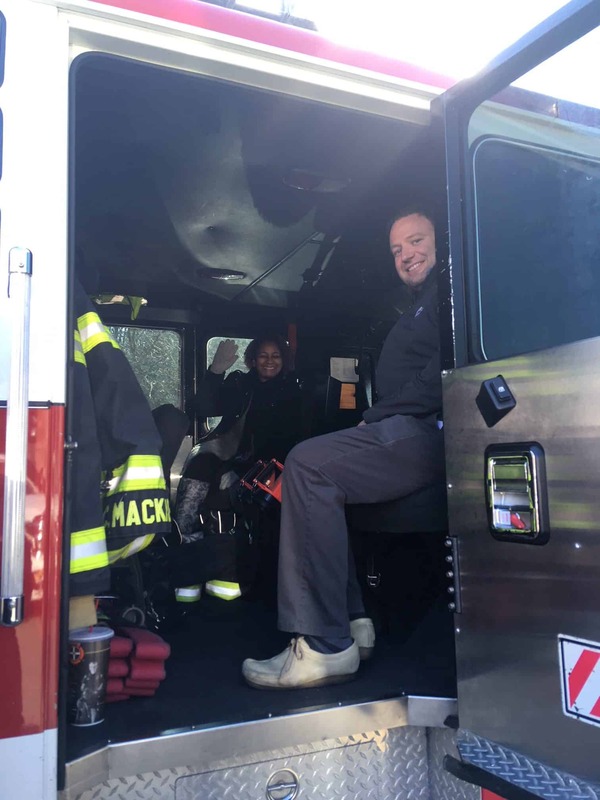 The class also had the opportunity to interact with volunteers from the Fire/EMS departments, get up close and personal with emergency vehicles, and tour the Calvert County Detention Center. Al Jeffery, division chief of emergency management for Calvert County, wrapped up the day with a discussion on emergency management and collaborative efforts among the Southern Maryland counties. The class adjourned and members headed to Brick Wood Fired Bistro in Prince Frederick to discuss the day’s events. Leadership Southern Maryland is now accepting applications for the Class of 2019 Executive Program. Interested emerging and senior leaders should visit www.leadershipsomd.org to learn more about the program and apply by April 1, 2018.